Monster Energy - Ultra Sunrise - 16oz. PRODUCT DESCRIPTION: Get up, get out, go for it! Ultra Sunrise is dedicated to those who sacrifice sleep for passion: catching waves at dawn patrol, up on the bike when the morning dew gives the dirt more grip, or the first pass on that glassy lake kicking off an epic wake session. Ultra Sunrise will get you started but is great anytime: light crisp, and refreshing with a flavor all its own. Packed with a full load of our Monster energy blend to keep the fire burning all day long. After all it's always sunrise somewhere. UNLEASH THE BEAST! Ships to APO/FPO, Alaska, Hawaii and Worldwide. 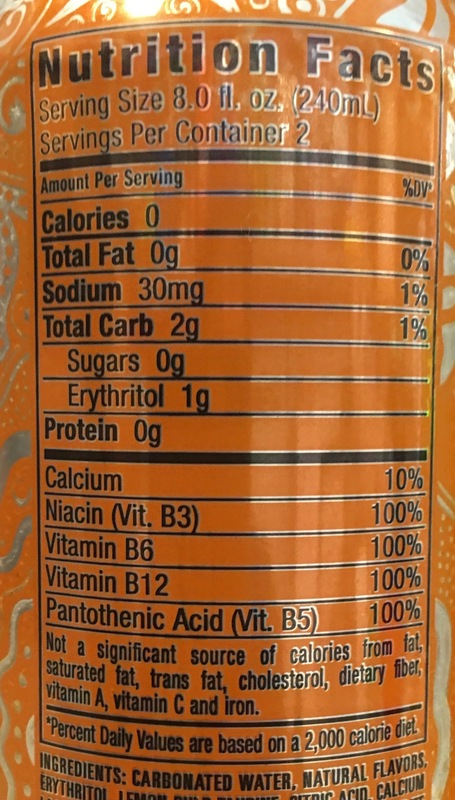 Carbonated water, natural flavors, erythritol, lemon pulp, taurine, citric acid, calcium lactate, panax ginseng extract, L-carnitine L-tartrate, potassium sorbate (preservative), caffeine, sucralose sodium citrate, sodium benzoate (preservative), niacinamide (vit B3), acesulfame potassium D-calcium pantothenate (vit B5), salt, guarana extraxt, D-glucuronolactone, inositol, pyridoxine hydrochloride (vit B6), yellow #5, yellow #6, cyanocobalamin (vit, B12).